A memorial service for Gloria Turnbow, 66, of Wichita Falls, TX was held on Tuesday September 4, 2018 in the Lawton Ritter Gray Funeral Home chapel. Mrs. Turnbow passed away on Friday, August 31, 2018 in Wichita Falls, TX. Gloria was born on October 27, 1951 in the Panama Canal Zone of Panama to Robert Edwards and Mary Jane Boas. Gloria’s father was in the military and this allowed her to travel to and live in many places. Gloria worked as a secretary and she worked for AT & T for many years. In her leisure time she enjoyed crafting, cooking, and playing bingo. She also enjoyed spending time at the beach, but most of all she loved to spend time with her beloved grandchildren. Gloria is survived by her son: Brian Dixon of Wichita Falls, TX. Her daughters and their husbands: Jennifer and Darrell Armentrout of Magnolia, TX and Wendi and Jason Jackson of Weatherford, TX. Her brother: Jim Boas and his girlfriend Pam Daros of Norman, OK. 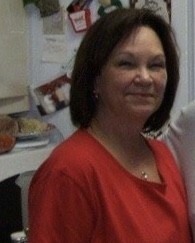 Her sisters: Sherry Gfeller of Lawton, OK and Cindy Franks and her husband Sammy of Davidson, OK. Her grandchildren: Matthew, David, Delaney, Koen and Connor. She also leaves behind numerous nieces, nephews, and cousins. She was preceded in death by her parents and her husband; Harold Turnbow.